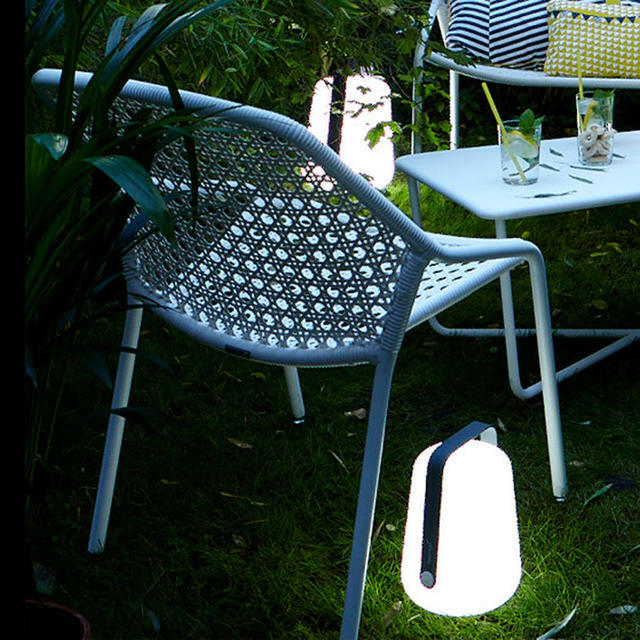 Rechargeable wireless LED lights for alfresco entertaining. 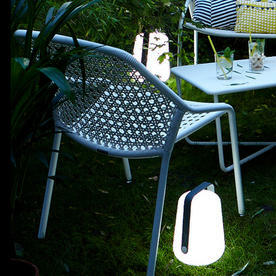 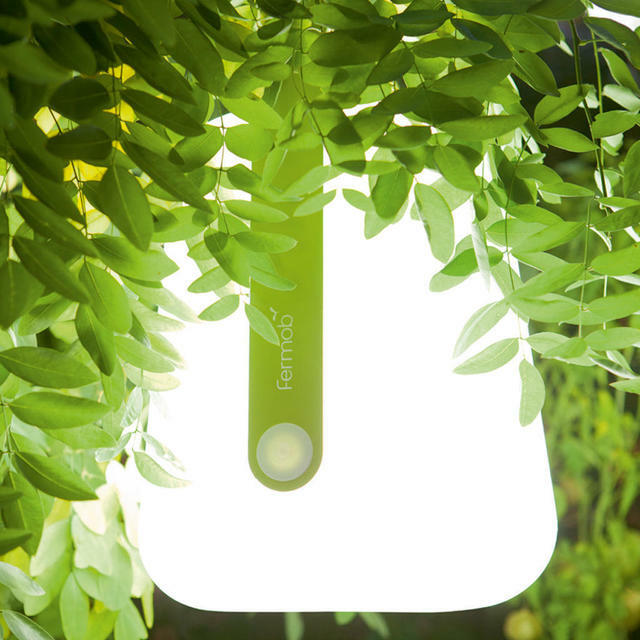 The Balad outdoor light by Fermob is a stylish, functional and practical garden light. 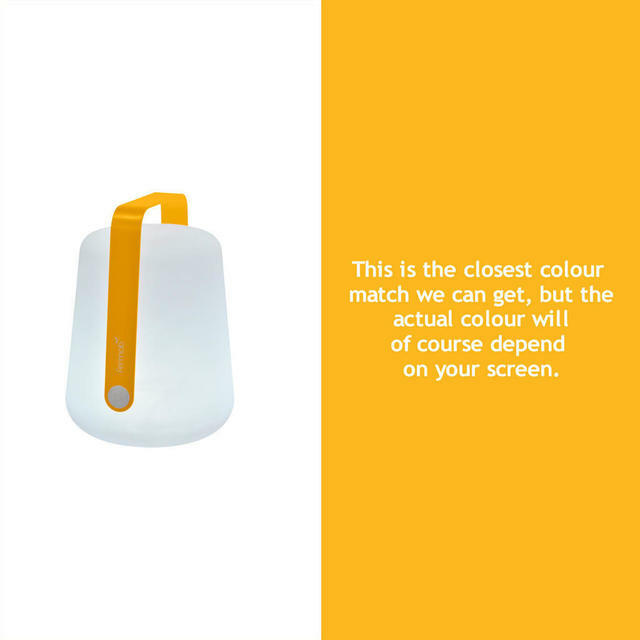 The light is a wireless rechargable LED, with 2 levels of brightness, from soft to bright. The LED will give you between 7 and 12 hours of light before needing to be recharged. 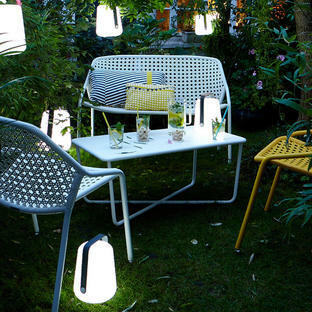 The lamp can be stood on a table or the ground or, if preferred, hung from a tree or shrub. 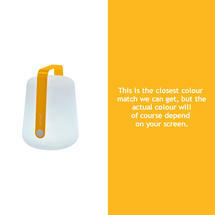 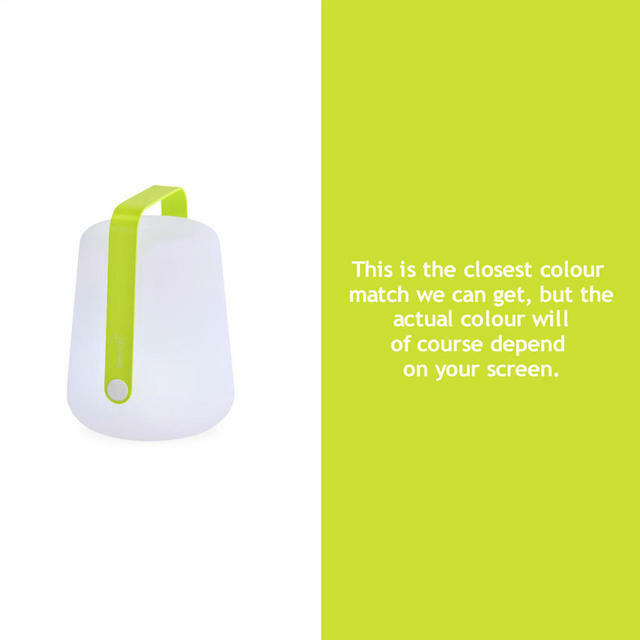 If you are looking for more colours they are available, and with a flickering light, see here. 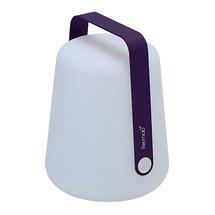 See here for the Fermob Balad Light Stands to accompany this light. 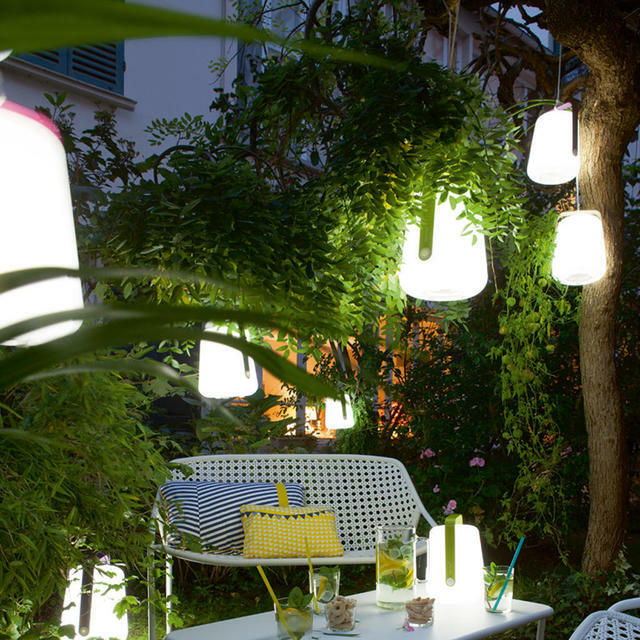 See the Large Balad lamps also available in the collection. There is a large Balad lamp stand available to complement this light, see here. 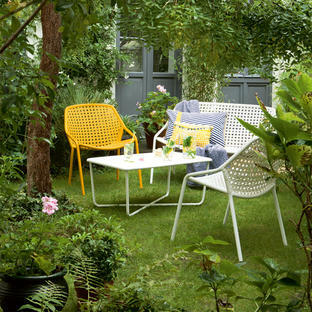 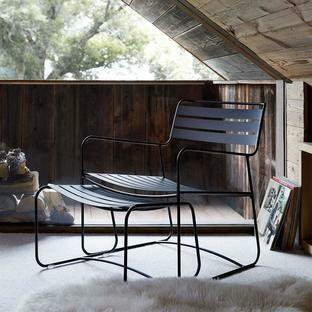 As seen in the image, the Croisette Relaxing furniture is ideal for creating a relaxed seating area. 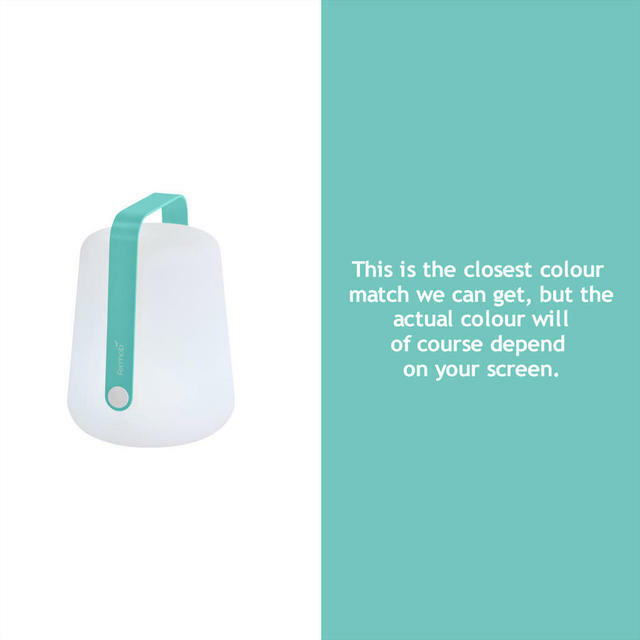 Unless in stock, normally allow 4-6 weeks for delivery; however, please contact us, as we can sometimes improve on this delivery time on certain items.